With its warm and gentle trade winds, mild temperatures and sunny skies, Hawaii is an ideal vacation destination throughout the year. Generally speaking, the state of Hawaii is tropical, but the temperature and climate can vary dramatically depending on where you are located on a particular island. For example, on the Big Island of Hawaii, it is possible to hit the beach and go for a swim and then drive up to the top of Mauna Kea and walk in snow in the same day. The Big Island's majestic mountains, the tallest of which is Mauna Kea rising 13,796 feet (4,205 m), contain a climatic range from the tropic to the sub-Arctic. Most of Hawaii has only two seasons – summer, from May to October, and winter, from November to April. The early Hawaiians named them kau, the warm season (when the sun is almost directly overhead and the weather is warmer and drier and winds blow reliably from the northeast) and ho'olio, the cooler season (when the sun is lower in the south, the winds are more variable and there is more rainfall and cloud cover). Temperatures at sea level in Hawaii range from highs of 85-90°F (29-32°C) in the summer to 79-83°F (26-28°C) in the winter. The temperature rarely rises above 90°F (32°C) or drop below 60°F (16°C) except at higher altitudes, including on Hawaii's three tallest mountains of Mauna Loa, Mauna Kea and Haleakala, where it often snows in the winter months. June, July and August are the driest months on all islands. But even in Hawaii's winter months, rain and cloud cover are very intermittent and you should get ample time in the sun. The warmest temperature in Hawaii was recorded in Pahala (Big Island of Hawaii) on April 27, 1931, when the thermometer reached 100°F (38°C). Hawaii's lowest recorded temperature is 12°F (−11°C), observed on the summit of Mauna Kea (Big Island) in May 1979. Hawaii's longest and shortest days are about 13.5 and 11 hours respectively since it is located relatively close to the Equator. The sun is directly overhead twice in the year, at the end of May and in late July. Hawaii boasts 11 of the 13 climate zones in the world, each with unique ecosystems and weather characteristics. Factors such as elevation, pressure variations, rainfall, wind and topography combine to create distinctive locations throughout the islands. Climates you may encounter in the Hawaiian Islands include the humid tropical zones, from sea level to 450 feet (137 m), the arid and semi-arid zones, the warmest parts of the islands, the temperate zones, at certain locations above 1,300 to 1,650 feet (400 to 500 m) and the Alpine zones, chilly areas above 10,500 feet (3,200 m). Make sure you are prepared for cooler temperatures if you're going to be doing some mountain or volcano climbing. Generally the rule of temperature decrease is about 3.5°F for every 1,000-foot increase (300 m) in elevation. 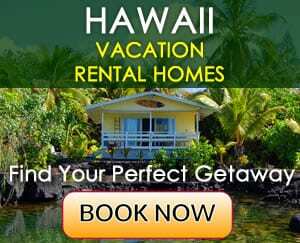 Each of the Hawaiian islands is home to the four primary climates of desert, tropical rainforest, temperate and tundra climates, so no matter where you stay, you'll have the opportunity to experience the amazing natural diversity present here. Hawaii has its own time zone, aptly referred to as “Hawaiian Standard Time.” Hawaii does not observe daylight savings time, so the number of hours the islands fall behind the continental U.S. varies. If you're talking to people on the U.S. West Coast during daylight savings time (in the summer), they will be 3 hours ahead and when daylight savings time is not in effect (in the winter), 2 hours ahead. For the U.S. East Coast, the difference is 6 hours and 5 hours respectively. Where you are on a Hawaiian island can actually make quite a difference in the climate. The eastern facing side, or windward side (named after the predominant trade winds that blow from the northeast), of each island is usually the cooler, wetter and windier side while the western facing side, the leeward side, is warmer and dryer. Hawaii is one of the greenest places on Earth thanks to the life-giving rains. Every day, it rains somewhere on the Islands and it is common to see light rainfall while the sun is shining brightly. The volcanic crater of Mt. Waialeale on the island of Kauai receives an average of 486 inches (12,344 mm) of precipitation a year and is one of the wettest places on Earth. In contrast, there are a few spots in the Islands that receive 6 or fewer inches (152 mm) of rain per year. Hilo, on the Big Island of Hawaii, is the wettest city in the U.S. with 130-200 inches (3,302-5,080 mm) of rainfall per year. Common in the Islands is a gentle misting rain, referred to as kilihune in the Hawaiian language, and great for cooling off. Hawaii's close proximity to the Equator means that the Islands stay nicely warmed. On clear sky days, the sun can be especially intense, so it is a good idea to wear a hat and apply sunscreen to avoid a sunburn. 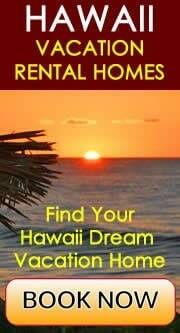 In fact, Hawaii experiences only minor variations in incoming solar radiation throughout the year. The Islands receive at least two-thirds as much solar radiation between sunrise and sunset on a clear winter day as on a clear day in summer. And since the air is usually very clear in Hawaii's atmosphere, almost three-fourths of the solar energy penetrates to sea level on a clear day. If you accidentally end up with a sunburn, the local aloe plant cut open and applied directly is a soothing remedy. If you don't have access to the fresh plant, you can find soothing lotions in the local drugstores that may also contain aloe vera. The Islands are prone to strong trade winds and an occasional tropical storm. Hurricanes are relatively rare in Hawaii (the last major hurricane to hit the Islands was hurricane Iniki in 1992). Hurricane season in Hawaii runs from the beginning of June until the end of November. Much more common than hurricanes are smaller tropical storms that bring heavy swells and rains. Flash floods frequently occur during and after heavy rainfall and are more common in the wet season. If you're visiting from a landlocked area, you'll feel the moisture in the air immediately upon your arrival at the airport. Visitors from typically dry areas, such as Colorado, may notice a replenished quality in their skin, or that their hair may take longer to dry after a shower or ocean swim. The Hawaiian Islands fair well with comfortably moderate humidity levels diminished by cooling trade winds. On rare occasions when the trade winds are absent, humidity can make the air feel a bit thick. Humidity may vary slightly on a daily basis, with an average of 63% humidity in Honolulu, and between varying climate zones and elevation. Hawaii is a surfer's paradise, with some of the biggest waves and cleanest barrels in the world. The North Shore of Oahu is home to the sport's most popular pro contest, the Vans Triple Crown of Surfing, held annually in November and December. Check the daily surf reports to find out which part of the island boasts the best waves. Generally speaking, the surf is highest in the winter months on the north shores of all islands and in the summer months on the south shores. North shore surf is bigger than south shore surf. Visitors to Hawaii are amazed at how warm the ocean water feels. Depending on the time of year, the sea surface temperature surrounding Hawaii's coasts ranges from 73˚F (22.7˚C) in February and March to 80˚F in September and October (26.6˚C). Now that's a comfortable swim! It takes time for the ocean to change its temperature between seasons. The warmest months in Hawaii are not June and July when the sun is highest, but August and September. The coolest month is not December when the sun is farthest south, but February and March. The reason is because the ocean acts as a climate regulator and there is a seasonal lag in the ocean's temperature that affects the air temperature as well. The ocean's influence on air temperature can also be illustrated with the following example: Since Hawaii is located more than 2,300 miles (3,700 km) from the nearest continent, air that reaches the Islands spends enough time over the ocean to adjust its temperature. In the winter months, Arctic air that reaches Hawaii is often warmed by as much as 100˚F (37.8˚C) during its passage over the North Pacific Ocean. Hawaiian residents and visitors are grateful for these steady and cool breezes brought from the northeast that sweep through the Islands at an average of 12 miles (19.3 km) per hour. Trade winds are generally steady during the summer months and weaker and inconsistent in winter. Frequencies average 90% in the summer and 50% in the winter. In the winter months (between late October and April) Hawaii's weather is influenced by the southerly winds of Kona storms or by the southwesterly winds that precede and the northerly winds that follow cold fronts. These winds bring much needed rain to the Islands. Called anuenue in Hawaiian, rainbows are abundant in the Islands and can be seen frequently accompanying light misting rain. It's not uncommon to see two or more rainbows together. Thanks to the help of active sea breezes, the cloud cover in Hawaii does not usually stay put for very long. Clouds tend to hang above the mountains, drop rain and move on. If you notice it beginning to cloud up over the mountains, don't worry. Chances are the clouds will stay right there and won't move on to the coastlines. And if you happen to get caught in a sudden downpour or light rain, look for a shelter and wait a few minutes. It often times clears up quickly, especially on the leeward coasts of the islands. Longer rainy periods are more common on the wetter windward coasts. 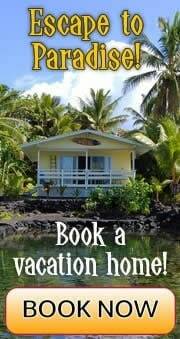 Hawaii's mild climate, beautiful scenery, warm ocean and gentle breezes make it the perfect vacation destination.